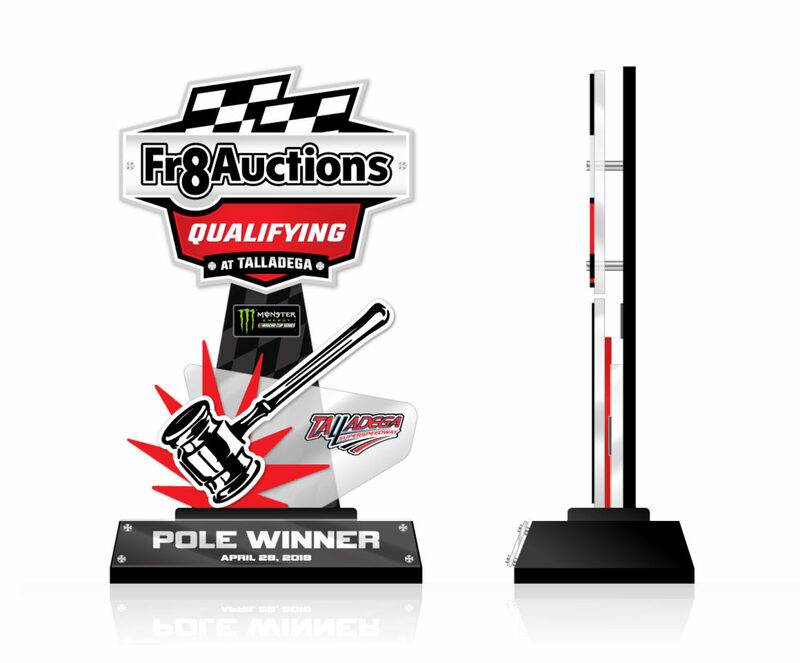 SMD was contracted to design the pole trophy for Atlanta based auction house, Fr8Auctions who secured the pole sponsorship for the spring Monster Energy NASCAR Cup Series race at Talladega in April of 2018. The Fr8Auctions pole trophy was given to the team with the fastest qualifying time for the GEICO 500. 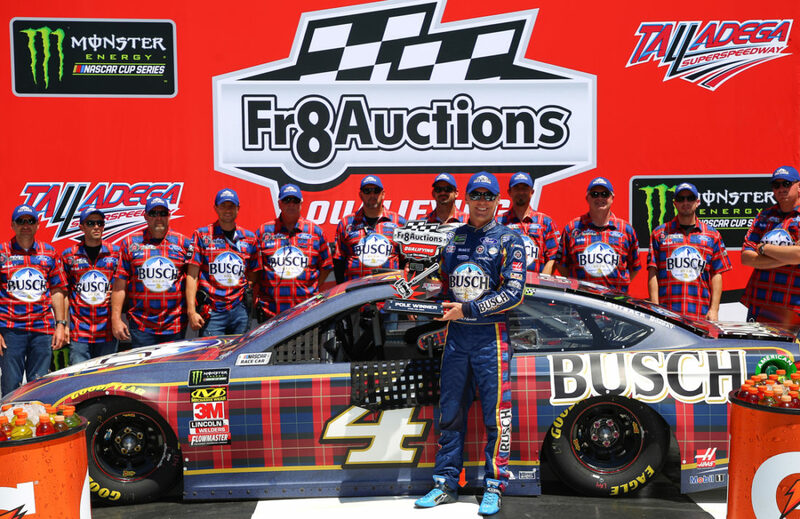 NASCAR veteran Kevin Harvick edged out fellow drivers Kurt Busch & Martin Truex Jr for the top spot securing his 2nd Busch Pole Award of the year and 22nd pole award of his career. 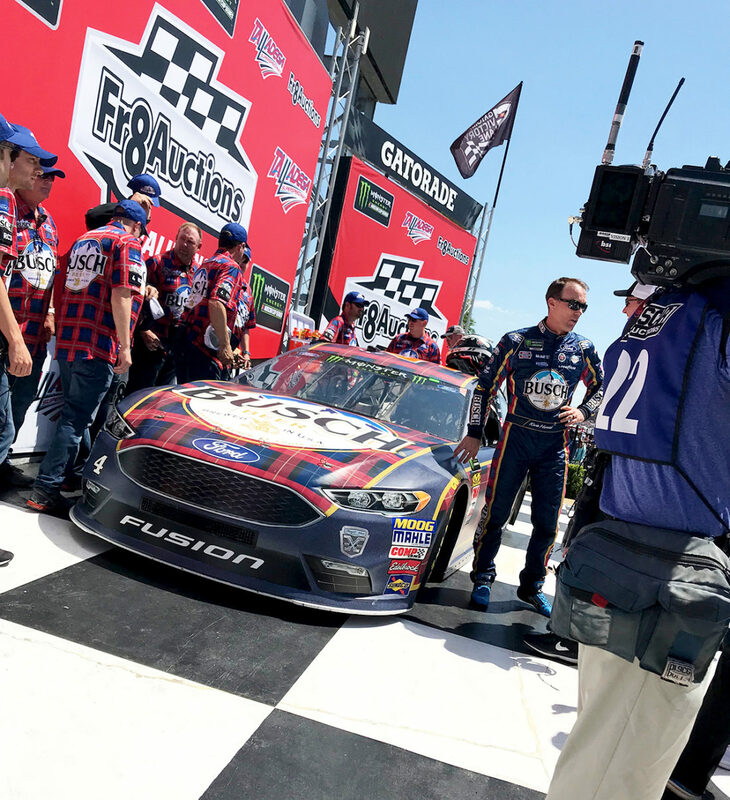 The Fr8Auctions brand was present all over the track at Talladega including the flag stand, jumbo-tron ticker, race souvenir programs and of course, victory lane backdrops. 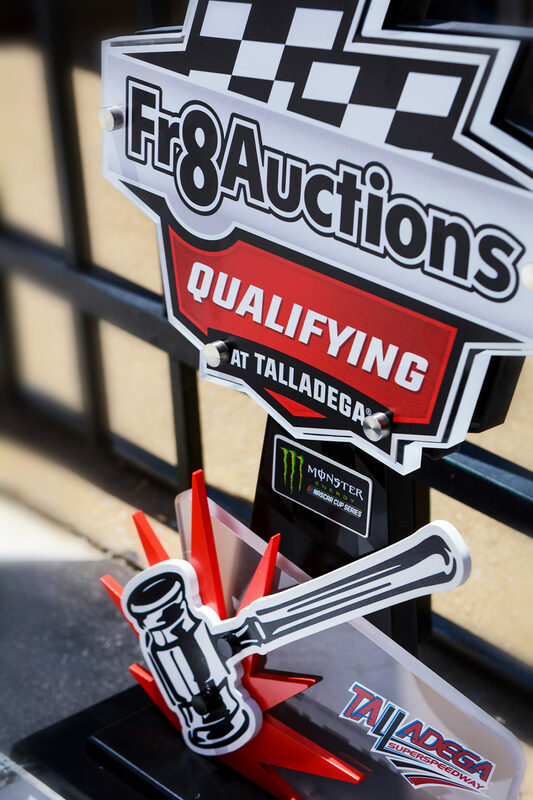 SMD worked directly with Fr8Auction management and Talladega account managers to ensure the integrity of the Fr8Auctions brand during the national event. This marks the first NASCAR pole trophy design for SMD. The Fr8Auctions qualifying event will feature a two-round format. Every driver will take one timed lap around the track during the first round, then the drivers with the 12 fastest lap speeds will advance to the second round. The top 12 starting positions for the race will be determined by the fastest lap speed in the second round, while positions 13 and beyond will be established off the first-round speeds. 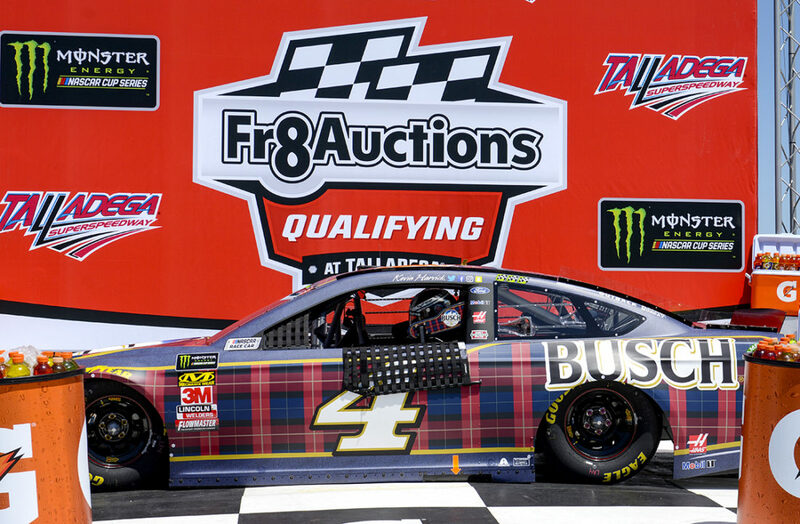 “Every driver’s quest at Talladega is to start up front, and during Fr8Auctions Qualifying, it’s a one-on-one battle of driver and machine against the biggest race track in NASCAR.”said Talladega Superspeedway Chairman Grant Lynch. 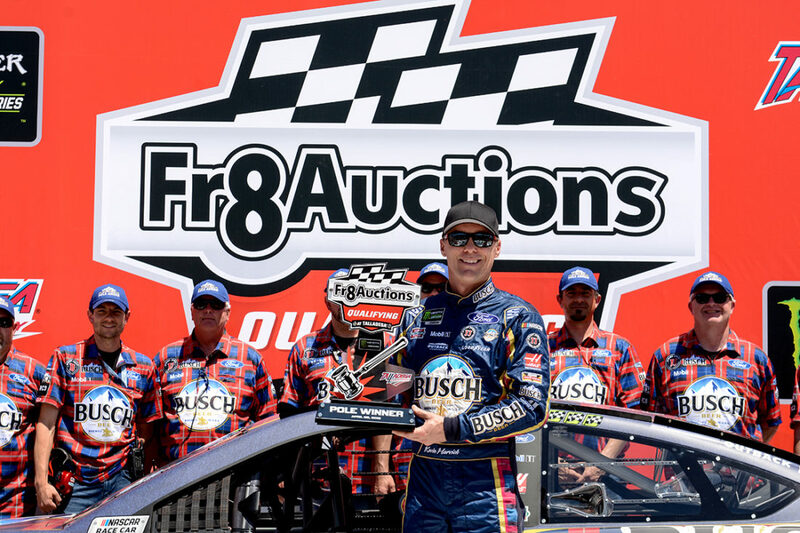 Fr8Auctions is an Atlanta-based business that partners with freight lines, distribution companies and consumer product-based businesses, helping them sell their excess, discontinued or damaged inventory.Fr8Auctions is a partner with Front Row Motorsports and driver David Ragan, for whom SMD designed a helmet in 2017.